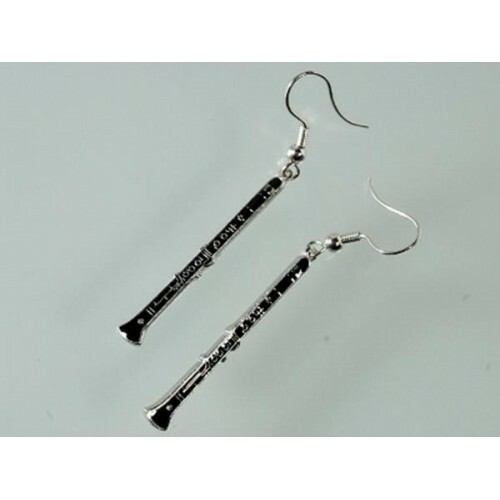 Earrings with clarinet. Black enamel. Silver color finish.